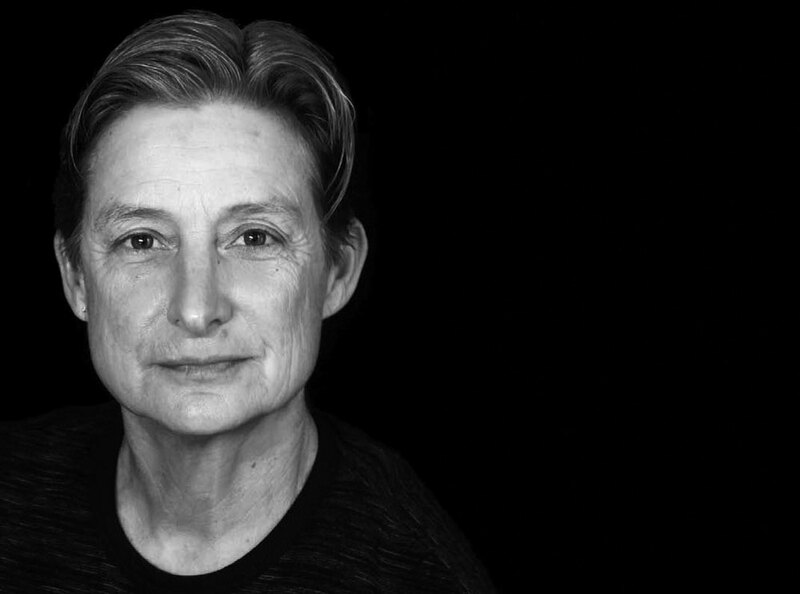 Stephanie Berbec's interview with Judith Butler was first published in The Other Journal: An Intersection of Theology and Culture. The philosopher and gender theorist Judith Butler famously coined the term gender performativity in her 1990 book Gender Trouble. There, she posited the theory of gender, or the body, as one that acts and performs according to the conventions of gender, conventions that are influenced, from the start, before one is even born. Now, in her book Notes Toward a Performative Theory of Assembly, Butler uses gender performativity as a point of departure for discussing precarious populations and the assembly of bodies as protest. She interweaves her two theories of performativity and precarity with the works of Hannah Arendt, Giorgio Agamben, and Emmanuel Levinas as a way to critically assess and speak to Tahrir Square, Occupy, Black Lives Matter, and other movements of dissent. In this interview, we consider her work in light of the recent events at Standing Rock and the 2016 presidential election. When so many in our society today exist at the limits of recognizability, Butler writes from the perspective that there is no I without first a we, pushing against the current operative boundaries and toward a politics of alliance, cohabitation, and interdependency. Stephanie Berbec: In your recent book, Notes Toward a Performative Theory of Assembly, you critically engage protest among the precarious as a sort of bodily performativity, making mention of the Occupy and Black Lives Matter movements, as well as other mass demonstrations around the world. Can you elaborate on why it makes sense to use gender performativity as a point of departure for talking about precarious communities and the assembly of bodies as a performative enactment? Judith Butler: I am sure that there are many ways to approach this problem. I suppose I was offering an intellectual itinerary for those readers who ask, how is it that you worked on gender and now work on violence, public demonstrations, and precarity? I do think that at stake in both forms of embodied performativity is a notion of political expression. Our political views are made known through speech and writing but also through images, sounds, and a wide range of artistic expression. Performance art is one such artistic practice with political consequences. It shows up in demonstrations, but can we also think of demonstrations as embodied forms of expression, ways of making political demands, even when speech is absent or not the salient form of expression? SB: In a critique of identity politics you explain that it “fails to furnish a broader conception of what it means, politically, to live together, across differences, sometimes in modes of unchosen proximity, especially when living together, however difficult it may be, remains an ethical and political imperative." 1 I am thinking here about our reaction to the impossible outcome of this year’s election and whether it has anything to do with the limitations of identity politics or the gap between discourse and practice. What does our shock tell us? In what ways have we missed the mark in our relations with the United States we thought we knew? JB: That is a superb question that we will be asking for some time to come. Surely, the strong expressions of xenophobia and racism on the part of the Trump administration are signs that refugees and undocumented people — mainly figured as Syrians and Mexicans — are precisely not those with whom Trump and friends feel any obligation to live. In many ways, especially in its support of white supremacy, the Trump administration represents an attack on multiracial and multiethnic cohabitation. I think we have to ask how the partial popular support for closing the border with a wall, discriminating against nations with large Muslim populations, and enacting deportation plans for the undocumented are linked with an increased sense of economic precarity and new forms of virulent racism. It may well be that those who voted for Trump were not always forthcoming with pollsters, understanding that racism and misogyny were unacceptable public discourse. At the same time, these shameful expressions were also clearly exhilarating for some who supported him. At last, they could throw off the superegoic control of feminist and antiracist discourse! We may have to think more about how shame and the exhilarations of unbridled hatred are linked and what political forms they assume. And it is true that we need to respond with a left project that does not simply line up the various identities whose rights we want to be secure. We have to ask what links us and what can link us to those who were too demoralized to vote or to those who thought that voting for Trump was the only way to say no. Many of those who voted for Trump did not know to what project they were saying yes. Some notion of who we are and can become now seems paramount — on what conditions do we live together, and what kinds of obligations bind us to one another and to the polities in which we live? SB: You define precarity as a “politically induced condition in which certain populations suffer from failing social and economic networks of support more than others, and become differentially exposed to injury, violence, and death.” What is key here, and what you’ve made clear throughout your text, is that precarity as a lived reality is not an individual condition. I am thinking here about the failures of religious institutions, specifically in their responsibility to protest on behalf of a whole host of persons — women, gender and sexual minorities, persons of color, refugees, immigrants, the undocumented, and those dispossessed of land — whose safety and well-being are now at risk of being compromised. In a stream of questions you ask “who will fail to be protected,” and I think that is precisely the question that religious institutions need to be asking of themselves: who are we failing to protect? 2 An effort of solidarity demands a sharing in responsibility for the ways in which religious institutions have aided in keeping the precarious precarious. In light of its own genealogy of performative assemblages — and taking into consideration that many readers of TOJ are academic theologians, practitioners in the church, or studying to become one of the two — are there any collective and institutional ways the church might begin to address this? JB: I have found it quite important that the current pope calls attention to poverty in many of his public statements. I am less sure how strongly that has translated into more support for antipoverty programs and for the support of refugee communities, but these are tasks in which religious institutions and networks remain essential. I am sorry, though, that the pope has chosen to continue the demonization of the term gender and the important feminist and LGBTQ movements that find that term essential for realizing their visions of social transformation and justice. What may be most important right now, however, is to communicate the dignity of the religion of Islam, and to do whatever can be done to include Islam in interfaith networks and mobilizations. We know that every religion has its fundamentalists and that every religion can be demonized, which means that the rights of religious minorities must be protected, and religious freedom should not be abused as a principle to support those who seek to discriminate against gay, lesbian, trans, and gender nonconforming peoples. I worry that when we speak about so-called Western values, we too often presuppose that those are Judeo-Christian, and that implies that a wide range of religions are relegated outside the core values of Western society and even of humanity itself. This cannot be right. JB: I do think that we have to ask about the reasons that 23 percent of the voting public voted for Trump and to consider what extent strong feelings of demoralization and an increased sense of precarity led them to turn to a reactionary populist. Groups on the left now must make connections with two different kinds of people. On the one hand, if we have a better account of why so many people have been plunged into precarity and fear, then we have to make the case in terms that are popular and persuasive. On the other hand, we now have a burgeoning resistance movement of civil servants, state officials, and police departments who are refusing to implement deportation plans and travel bans. Those are our new allies. So in the moment when we might want to retreat and find consolation among the like-minded, we need to reach out more effectively to persuade people that constitutional democracy and a common commitment to equality and freedom are goods worth fighting for and that cohabitation implies an affirmation of our ethnic and racial diversity as well as our religious diversity. SB: That’s fascinating. I am struck by your calling us to recognize those resisting state officials and police persons as our new allies. What might a common commitment to constitutional democracy, equality, and freedom look like in conjunction with these new allies? Particularly if some of those broader structures have a long history of policing and ensuring the suppression of those values? JB: I am just aware that we are watching to see who among the Republicans still cares about the constitution or what it says. Or who among those people rallying at town halls in anger in the Midwest are making claims that the loss of health care is inhumane? My sense is that most populists aren’t altogether clear about the source of their own anger, which means that it can be articulated in different political frames. In a sense, this is an opportunity. SB: You make mention of the rise of the sans papiers or others within the “shadowy domain of existence” who, radically deprived of recognition, are beginning to enter into the sphere of appearance by way of mass demonstration, attempting to lay claim to space and demanding the right to appear, to say that their lives matter and that they exist. This brings to mind Maurice Merleau-Ponty’s work of the body as a “gaping wound.” 4 In this sense, protest, as bodily enactment and bodily vulnerability in the street or in the square, is essentially a visible exclamation and reminder that all is not well in the world. How might this conception mesh with your own in terms of how we think about the visible appearance of bodies in the public sphere? And what’s made available to us or overlooked here as we seek language that may aid in the destigmatization of fear that is associated with a large group of bodies assembled and the misconstrual of protest as innately violent? JB: I am sure that Merleau-Ponty is in the background of my thoughts, for he is the one who tells us that the limits of the body do not contain us but expose us to a world without which our living is not possible. Indeed, we are given over from the start, so to have a body is already to be in the care of the other or to be in need of such care. We cannot separate our idea of a persisting body from networks of care in this regard; when infrastructures fail and falter, so too do we. I am open to a world that acts on me in ways that cannot be fully predicted or controlled in advance, and something about my openness is not, strictly speaking, under my control. That opening toward the world is not something that I can exactly will away. This social character of our persistence and our possible flourishing means that we have to take collective responsibility for overcoming conditions of induced precarity. Demonstrations that oppose evictions in Barcelona and demonstrations that oppose police brutality against black men and women in the United States are making claims of justice; they are documenting the failures of justice, and they are part of our political freedom and even our political hope. I see how often those demonstrations are called “riots” or “unrest” and how quickly they can be shut down for reasons of “security.” But without the freedom of movement and assembly, we lose our very character as a democracy. I was in a cab the other day in New York City passing a demonstration against Trump on West Fourth Street. I said to Oscar, the cab driver, “They will be there every week.” He responded, “And then they will be there every day and every night,” at which point I was reminded how revolutionary movements for social justice emerge. SB: In processing the recent events at Standing Rock, I was struck by the words you share of the black American feminist Bernice Johnson Reagon, “that interdependency includes the threat of death.” 5 To what extent are interdependency, cohabitation, alliance, and the power of assembly being properly demonstrated with veterans joining the front lines on behalf of water protectors at Standing Rock, particularly in the joining of two different sets of “disposable persons”? JB: The veterans arriving at Standing Rock is moving indeed. This kind of alliance is beautiful because the veterans were able to depart from a nationalist and militarist affiliation, and because the native peoples and their allies were able to welcome them. That the veterans now stand off against the militarized police force tasked with dispersing the demonstrators makes plain that there are fissures developing that may well make it more possible for police and members of the National Guard to refuse to implement orders to deport, detain, and disperse precarious peoples seeking to lay claim to land, freedom, equality, and belonging. That the Los Angeles Police Department also made clear it will not implement any deportation policy shows us that new alliances are possible, ones that are even more queer than those we have already known. SB: You critically engage the work of Hannah Arendt in this text, specifically her book The Human Condition. Although there are several instances in which you depart from or expand upon her work, you agree with Arendt’s notion that freedom “does not come from me or from you; it can and does happen as a relation between us, or, indeed, among us” and that together “we bring the space of appearance into being.”6 This idea of the between occurs so often throughout your text, and perhaps just as often, there are mentions of this sort of juxtaposition between being bound to the other and coming undone in the presence of the other. Can you explain your view of what occurs in the between of two subjects in relation, the boundedness and the coming undone, as well as the ways in which this becomes the space for freedom? JB: I think that Arendt was right to criticize those forms of individualism that presume that freedom is always and only a matter of personal liberty. Of course, I am most glad to have my personal liberty, but I only have it to the extent that there is a sphere of freedom in which I can operate. That sphere is coproduced by people who live together or who have agreed to live in a world in which the relations between them make possible their individual sense of being free. So perhaps we might regard personal liberty as a cipher of social freedom. And social freedom cannot be understood apart from what arises between people, what happens when they make something in common or when, in fact, they seek to make or remake the world in common. I am struck by the way Arendt’s position echoes that of Martin Buber, whose cultural Zionism interested her a great deal in the 1930s. For Buber, the I only knows its world because there is a you who has consciousness of that world. 7 The world is given to me because you are also there as one to whom it is given. The world is never given to me alone but always in your company. Without you, the world does not give itself. We are worldless without one another. SB: The third chapter opens by asking “whether any of us have the capacity or inclination to respond ethically to suffering at a distance, and what makes that ethical encounter possible when it does take place?” 8 I am wondering whether the question here is not between “capacity or inclination” (emphasis added); that is, not a matter of whether we all have the capacity to respond but that few of us are inclined to actually do so. It seems we have an operative, perhaps even subconscious, mentality that we have less of an ethical obligation to those from whom the distance from us is great. What is this seeming disconnect between our capacity to respond to the suffering other and our inclination to actually do so? JB: I think you are probably right. What worries me is that many of us form our sense of obligation toward another on the basis of feelings of identification. If someone else is like us, and that likeness is readily recognizable, then we are more inclined to respond in the way that we would have others respond to us. The harder task is to maintain an obligation to those by whom we feel ourselves to have been injured, to those we fear, or to those whose difference from us seems to be quite severe. This is why I do not think that global obligations can rest on identification, even expanded or expanding identifications; they have to claim us quite regardless of whether or not we feel love or sympathy, for the simple reason that the world is given to us in common and that without each other the world is not given. If the self is the basis of sympathy, our sympathy will be restricted to those who are like us. The real challenge occurs when that extrapolation of the self is thwarted by alterity. SB: It does seem that any way forward must include maintaining an obligation to those we perceive to have hurt us or to those whom we fear, but current conservative critiques of political correctness seem to pose such obligations or lines of connection to others as illusions. How do we foster obligation in a time such as this? JB: That is a good question, and I am not sure I have the answer. But it does matter when one starts to realize that one’s own suffering is like that of the other’s. That can lead to a structural understanding of exploitation or differential precarity. Some forms of identification or substitutability can begin forms of alliance that call into question the more entrenched versions of individualism. The idea that I am obligated to others follows, I think, from the more fundamental insight that one life is not living without the other and that this way of being bound up together is at once ontological and ethical. SB: This brings to mind the Jewish and Christian notion of neighbor. We want a definable answer to the who implicit in the injunction to love our neighbor because already there are those whom we wish to exclude. Stepping outside of the general binaries through which we view our complex world, often to our own detriment, I’m thinking here about the theory of neighbor as a third term coupled with the idea of proximity, the root of which means nearest. 9Could it be suggested that the neighbor, as neither friend nor enemy, is perhaps always in proximity, always nearest, always present, but neither fully and finally friend or enemy, never arriving but always remaining something other? To be more specific, if we understand proximity to be the space within which interpersonal relations occur, the breeding ground for contempt, as well as the site for ethical obligation, could our conception of proximity be expanded, albeit metaphysically, to include our geographically distant neighbors, such that it could be suggested that we always have an obligation to the other, even at a distance? JB: I like this idea, of course, but sometimes the greatest estrangement happens within relations that are most proximate. I am interested in the fact, for instance, that many people claim that they follow principles of nonviolence except that they would make exceptions if someone in their family were attacked or threatened. That suggests that those lives closest to us are most precious and that others are less so. Yet most violence takes place within domestic situations, suggesting that those closest to us also represent distinct sorts of threats. There seems to be no way around that paradox. We let others die because they are far away, but those closest to us are sometimes most imperiled by proximity. Violence works across proximity and distance, it seems. SB: You advocate an ethics of cohabitation, bluntly reminding us that it is “not from a pervasive love for humanity or a pure desire for peace that we strive to live together. We live together because we have no choice.” In fact, you point out that we don’t even get to choose with whom we cohabit and that interdependency does not mean social harmony. 10 What are the implications for such given realities when the work we have before us necessitates the linking of bodies, the forming of alliances, and the performativity of assemblies? JB: Very often those links we make are anonymous. We do not know the history or the face of the one with whom we are allied. This is part of what makes it a public demonstration rather than the local assertion of community bonds. Sometimes those two sorts of ties are mixed. There has to be a way of entering into a common world, especially for those who have not been part of that world, to ally with those who are at risk of not counting. This means that we do not demand a personal connection or even an alliance of affect but a passionate commitment to the everyone and the anyone. Maybe there are forms of love that can describe this, but they would be neither personal nor communitarian. SB: In this recent text, you seem comfortable with a mode of public writing and speaking that does not directly or immediately lead to action; you even mention the urgency with which you write so that your work might first cause us to pause and reflect together on the very conditions of acting. 11 What’s made available to us in such forms of reflection that we might otherwise miss when we become too preoccupied with immediate actionable steps? JB: I see on my campus, for instance, that there are students who oppose racism by any means necessary. I want to oppose racism as well, but I do think it is worth pausing to ask by what means. If the means are violent, how are they justified? I would like to persuade people who are in righteous rage that the turn to violence is not what they finally want, since at stake is not just finding a way to react immediately and legibly but building a world together. We have to pause and ask about means if we want to build a world opposed to racism. SB: In your acceptance speech for the Adorno award, which is included at the end of the book, you pick up Adorno’s question on the possibility of living a good life in a bad life. You argue that whatever hope we have for a good life in this troubled historical moment and context is bound up with interdependency and performative action. You write, “If I am to lead a good life, it will be a life lived with others, a life that is no life without those others.” 12 I am struck by the ways in which you hold together the tensions involved in answering Adorno’s question — being honest about our present moment while also remaining hopeful about our possibilities in collective action. What is it that gives you hope for us moving toward a good life in this moment? JB: I suppose at this moment I am most grateful for the moments of surprise; the alliance between the veterans and the Standing Rock activists; the people who take to the street to oppose the travel ban; the law students who stay up all night helping to draft the rationale for denying that ban; the farmers, many of whom are Republicans, who do not want migrant workers deported or living in fear of a police raid. There are many of us coming together to ask our universities to become sanctuaries, which means we will in no way assist state authorities in their efforts to deport undocumented students. Many of these people I do not know. Many people meet each other for the first time. Many are surprised to find solidarity in a sector long regarded as culturally alien. So I am moved by the alliances and think that they can grow into a popular movement but only if we do not know in advance with whom we will be allying. We need that opening to a different alliance in the future to affirm hope. I see some discrete moments, vibrant and compelling, and hope to see the coming concatenation soon. SB: It seems like this sort of surprise may necessarily stay hidden from view until we actually cast our lots into the movement to build a world together, as you say. Do actionable steps only become possible or imaginable in the wake of interconnection, of thinking alongside this other with whom I have nothing in common apart from our commitment to a sharable, equitable future? JB: I suppose it is first important to honor the obligation to affirm the life of another even if I am overwhelmed with hostility. This is the basic precept of an ethics of nonviolence, in my view. So though we imagine that we throw our lot in with others, the fact is that others are impinging upon us all the time. We were thrown into a world of others way before we made any decisions whether or not to throw our lot in with others. Decision only happens in the context of a prior entanglement. That can be a tie of ambivalence, but it is a social tie or bond, one that is sometimes nearly impossible to fathom. And that we are all equally in that bind, as it were, implies a kind of equality from the start. We can rebel against it, but the truth of that sort of equality is larger than our rebellion. The point is to take that non-egological point of departure for what we call our agency and our decision. It means that action is always implicitly plural and reciprocal, even when that is not the case in existing circumstances. We have to foreground and work that incommensurability to produce a different future. 1. Butler, Notes Toward a Performative Theory of Assembly (Cambridge, MA: Harvard University Press, 2015), 27. 2. Ibid., 33 and 34. 3. Ibid., 38 and 59. Also see Turner, The Ritual Process: Structure and Anti-Structure (New Brunswick, NJ: Aldine Transaction, 1995). 4. Ibid., 41 and 198; and Merleau-Ponty, Phenomenology of Perception, trans. C. Smith (London, UK: Routledge and Kegan Paul, 1978), quoted in Mark C. Taylor, Altarity (Chicago, IL: University of Chicago Press, 1987), 69. 5. Johnson Reagon quoted in Butler, Notes Toward a Performative Theory of Assembly, 152. 6. Arendt quoted in Butler, Notes Toward a Performative Theory of Assembly, 89 (emphasis added). 7. See Buber, I and Thou (New York, NY: Simon and Schuster, 1971). 9. See Kenneth Reinhard, “Toward a Political Theology of the Neighbor,” in The Neighbor: Three Inquiries in Political Theology (Chicago, IL: University of Chicago Press, 2005), 13. 10. Ibid., 122. Also see ibid., 121 and 151.